Warren Hastings was a keen supporter of the ACA, and in 1955 wrote and produced The Monarch of the Thames. He then very generously gave the profits to the ACA. With the original book being very scarce and collectable, Medlar, in the ACA’s 60th anniversary year, printed a new limited edition of only 100 copies to help raise even more funds for the organisation. All profits go to Fish Legal, the new name of the ACA. 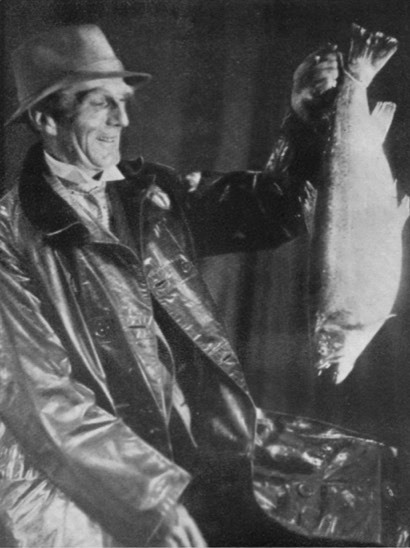 The photograph shows Warren Hastings with a Thames trout of 8lb 4 oz.